Barbara Brown Taylor talks about defeating the binaries in our lives and responds to the "Who's going to hell?" and "Does God get what God wants?" questions. Light/Dark, Good/Evil, Right/Wrong. Opposing forces. Paradox. Dualism. If the good sometimes kicks off the bad, does good=bad? If the bad sometimes brings about the good, does bad=good? Perspective matters. What does it mean to take a side? How do we come to accept it all exists? 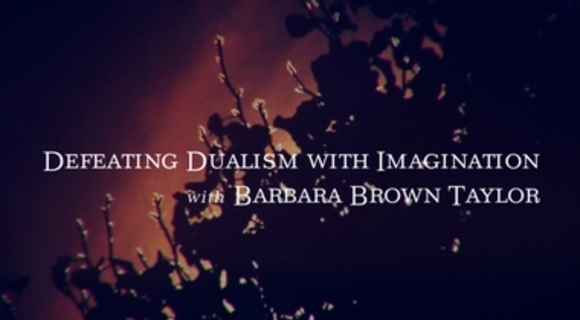 How does a dualistic mindset effect our hearts? How does it alter our path? Help others find their beauty.